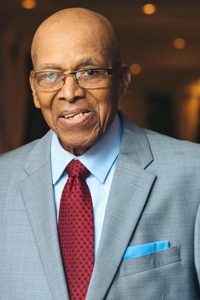 A memorial service celebrating the life of Kenneth Charles Pearman, beloved husband of Mildred Yvonne Pearman and son of the late Charles and Muriel Pearman [Hassell] of 47 Radnor Road, Hamilton Parish, in his 88th year, will be held today, Wednesday, September 12, 2018, at St. George’s Seventh-day Adventist Church, Secretary Road, St. George’s at 2:30 pm. Lovingly remembered by children Dennis, Kenneth Jr., Dr. Kendra-Lee and Karen Pearman; son-in-law Troy; daughters-in-law Malvina and Deborah; special grandchildren, Mikaela [Jason], Samaela [Damon] and Trae; grandchildren Richelene , Zephyra, Richard Jr, Kejon, Denetra [Shawn], Dennis, Denice, Dannielle, Zico, Kieran and Jade: special great-grandchildren Amari, Xavi, Mai-Lee and Mayan; great-grandchildren Umdae, Samir, Jiqena, Atiya, Zerriko, Dennis, Nyla, Jordanne, Zahnouri, Dakaari, Leila; great great-grandsons Unas and Zayouri; Nephews Antoine [Ronzelle], Andre [Alia] and Tony; sisters-in-law Pat, Laura and Loretta; nieces Katina [Dennis] and Luverne; special nephew and his wife, Flecky and Debbie; friends Claudine, Margaret, Essie, Maynards, Pat and Sam, St George SDA Church Family, numerous other family and friends. Kenneth was predeceased by his son, Richard Sr. and his sisters Betty and Doris. In Lieu of flowers donations can be made to PALS, 18 Point Finger Road, Paget DV 04.